Inshore- The beginning of this week was looking a lot like spring we had warming water temps nearly to the low 70’s and the water was super clear and ready to pop with spring time action. We had pompano moving in, snook starting to move onto beaches very early and the trout bite was super-hot on the shallow water flats, and large schools of redfish were being found in the back bays, passes and along the coast. Plus, the white bait is thick around the bridges and passes reports Brian Harris our bait catching extraordinaire and local avid angler who’s on the water daily catching bait for us and fishing the pass. However, this mid-week cold front we had may shake those things up but were hoping it warms up as quickly as its forecasted and my mid-week next week the low 80’s were seeing forecasted should get those water temps back to the low 70’s quickly, this front was pretty weak and it’s not going to stay cold long so it shouldn’t have too severe an impact on our inshore fishery and water temps. 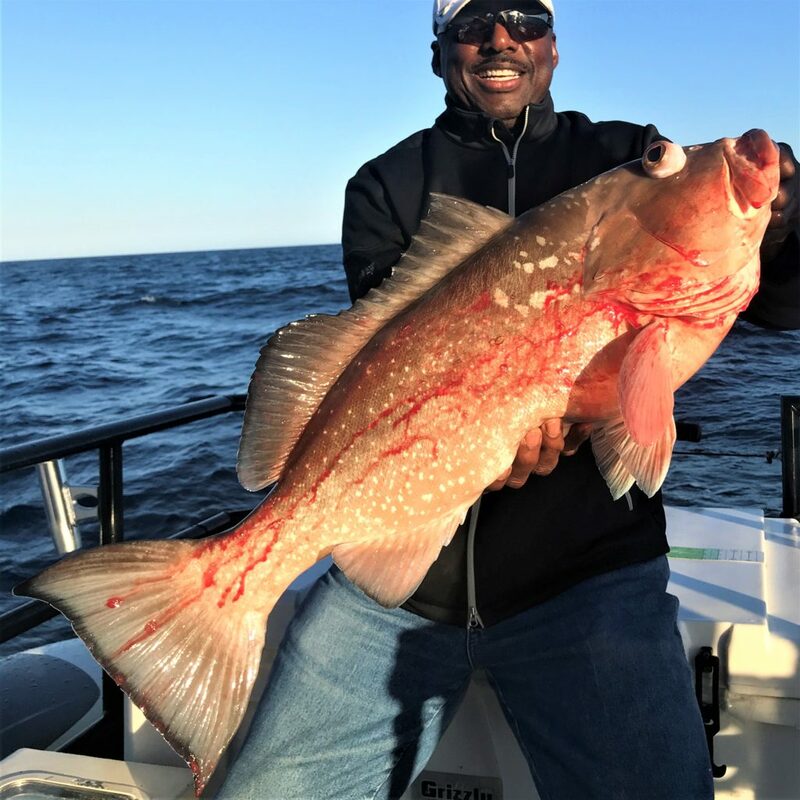 The sheepshead and black drum should be fired up behind this front as were still seeing tons of those fish around the structures of the passes and bridges. Those sheepshead love the barnacles, cut oysters, fiddler crabs, and pieces of shrimp! Near shore- The fishing this past weakened and the start of this week was good near shore we were doing very well on mangrove snapper with the occasional hogfish mixed in as well. Plus, the sheepshead are still scattered in our near shore waters too. Hogfish seem to be hanging shallower primarily around 30-70 foot of water, while the mangroves are out deeper in 70-90 foot of water. 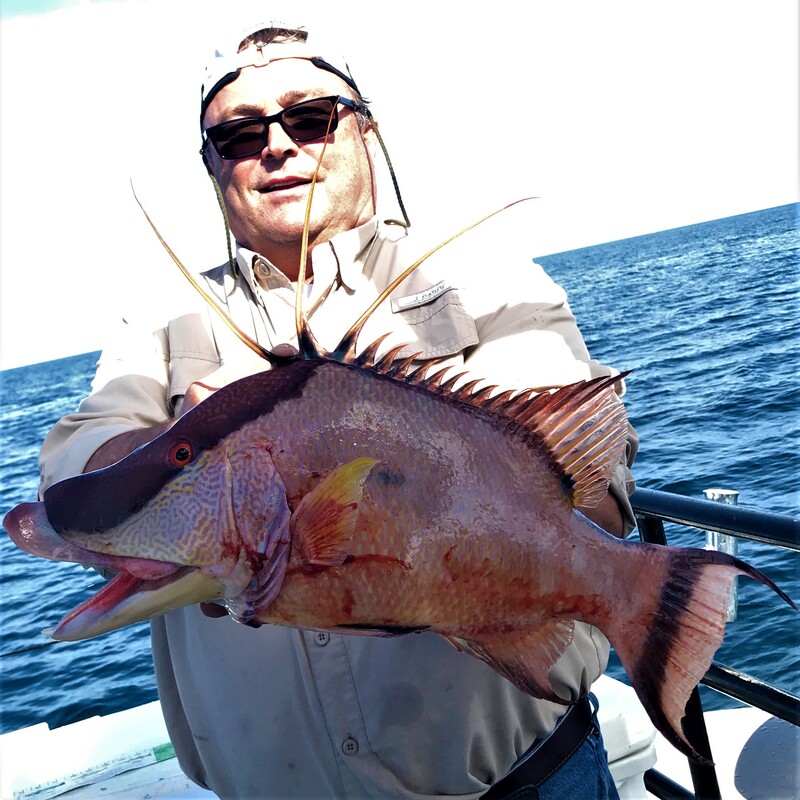 Hogfish love the live shrimp or fiddlers while the mangroves like big shrimp or small pinfish or cut threadfins. I prefer the double snell rig for mangrove snapper with 4-5ot hooks and 40lb floro. For hogfish, I like a knocker set up with a single 4ot hook and 30lb floro carbon and the lightest possible weight that is going to allow me to feel the bite effectively. Lane snapper have also been biting well near shore from 60-100 foot of water on shrimp or pieces of squid and occasionally that cut dead bait, we often catch these as bycatch while targeting the hogfish or mangroves using the techniques above! Offshore – This past weekend’s 39 hour trip much better than the previous weekend’s trip but it was still a little slower than we would have liked. We’re hoping today’s 39 hour has much better luck with the bottom fishing since we have perfect weather for it and premium conditions since the Wednesday front got things moving for us. However, last weekend turned out pretty decent after we put together a good catch after grinding for them. We saw some big mangrove snapper in the 7-9lb range but unfortunately they were not really feeding too well but we were able to scoop up a decent catch in the box by the end of the trip. The lane snapper, vermillion snapper, and porgies were present for us as well. We caught a kingfish or two and tuna too for the pelagic fishing. The 12 hour extreme trips have been doing well on the nice red grouper, our most recent trip had a total of 20 keeper red grouper! 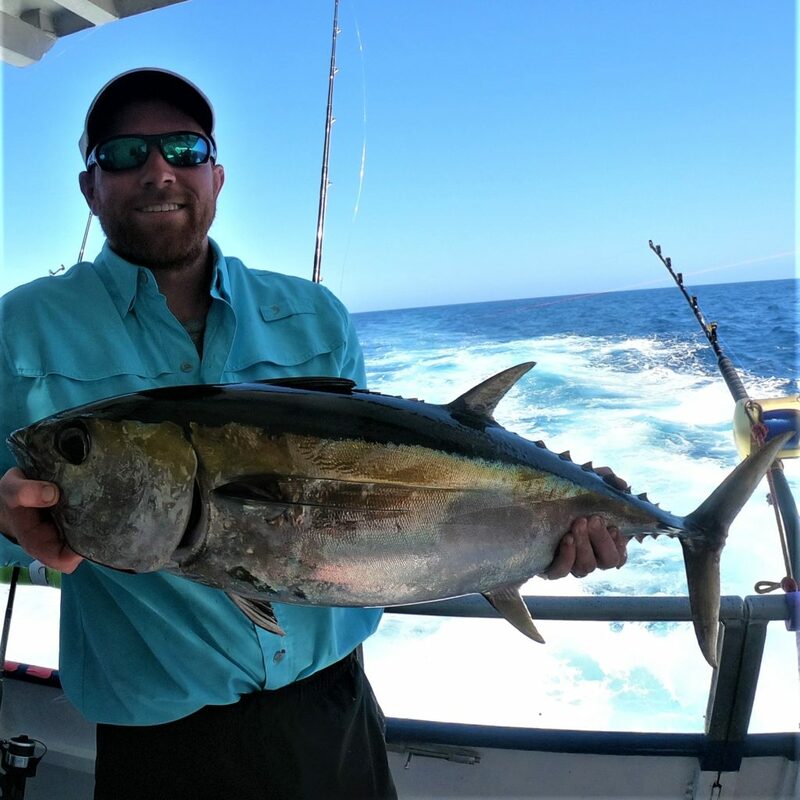 We have another great Bass Pro Shops seminar coming up Saturday March 16th at 2pm if you want to join Capt Dylan for a chance to win FREE FISHING TRIPS! The fishing seminar or fishing conversation will be about an hour long of fishing conversation, tips, tricks and more! Plus, at the end of each seminar Capt Dylan gives away a FREE 10 hour all day for two guests and a FREE 5 hour half day for two guests to two lucky winners of the FREE raffle. To be entered in the raffle you just have to show up around 2:30 pm and stay for the hour seminar. Check out the Facebook event for this upcoming seminar here – https://hubbardsmarina.com/bass-pro-fishing-seminars/ You can also view all the past bass pro shops seminars at this page too! NEW Bull Bay and Hubbard’s Marina Custom rod and reels 10% off when you buy a reel to match them! Penn rod and reel combos and select Penn reels 50% off when you talk with Amanda Rain bolt 10a-4p any day except Tuesday or Wednesday!